Digital Yacht a nominee for DAME Award – Superyachts News, Luxury Yachts, Charter & Yachts for Sale. 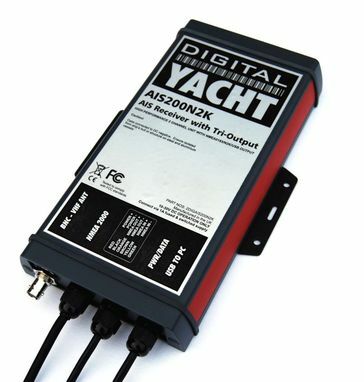 UK marine electronics manufacturer, Digital Yacht, has been nominated for the prominent DAME Award at METS 2011 in Amsterdam, just a month after winning the prestigious NMEA 2011 Technology Award for BOATraNET, which is the world’s first wireless navigation server for yachts. Over 130 products were entered for the Design Awards and it’s been narrowed down to just 43, one of which is iAIS, which has been entered into the electronics category. The team of 10 judges then have to choose a winner from each category as well as one overall winner, which will be announced at the breakfast briefing on Tuesday 15 November at METS. “We’re really delighted to have been short-listed for the DAME Awards. Just being nominated is extremely credible and highlights Digital Yacht as an innovative brand that is in touch with new technology and trends. The entire team is dedicated to producing products that are forward thinking and competitively priced,” said Digital Yacht CEO, Nick Heyes. iAIS, wirelessly links a yacht’s navigation data to the Apple iPhone, iPad or iTouch. It also incorporates a highly sophisticated, dual channel Automatic Identification System (AIS) receiver allowing compatible “apps” access to NMEA instrument, GPS and AIS data. iPad and iPhone users simply turn on their device to wirelessly connect to the iAIS hot spot. No connection to the internet is needed and there are no cumbersome cables to connect. The AIS data (which brings information such as position, name, call sign, MMSI number, course and speed of other ships) then becomes available for any compatible application. iAIS also multiplexes any other NMEA data that is available on board the yacht – for instance GPS, depth, speed, wind etc. All of this information is combined with the AIS data into the wireless feed.